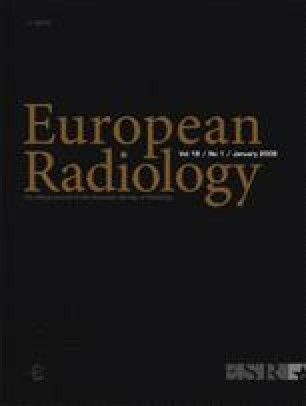 The aim of this study is to evaluate the usefulness of diffusion-weighted (DW) magnetic resonance (MR) imaging in detecting peritoneal dissemination in cases of gynecological malignancy. We retrospectively analyzed MR images obtained from 26 consecutive patients with gynecological malignancy. Peritoneal dissemination was histologically diagnosed in 15 of the 26 patients after surgery. We obtained DW images and half-Fourier single-shot turbo-spin-echo images in the abdomen and pelvis, and then generated fusion images. Coronal maximum-intensity-projection images were reconstructed from the axial source images. Reader interpretations were compared with the laparotomy findings in the surgical records. Receiver-operating characteristic (ROC) curves were used to represent the presence of peritoneal dissemination. In addition, the sensitivity and specificity were calculated. DW imaging depicted the tumors in 14 of 15 patients with peritoneal dissemination as abnormal signal intensity. ROC analysis yielded Az values of 0.974 and 0.932 for the two reviewers. The mean sensitivity and specificity were 90 and 95.5%. DW imaging plays an important role in the diagnosis and therapeutic management of patients with gynecological malignancy. We are grateful to Eiji Yamashita, B.S., Naoki Iwata, B.S., Takuro Tanaka, B.S., and Hiroki Katayama, B.S., for technical support in obtaining high-quality MR images for this study.